Are you in the mood for something delectable? Manassas, Virginia is home to many incredible dining establishments ranging from contemporary Mexican fare to Portuguese-Italian cuisine. Here are our top choices for restaurants in Manassas, VA. 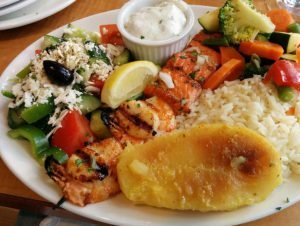 Located on Center Street, Katerina’s Greek Cuisine offers a mouthwatering blend of authentic Mediterranean and Greek dishes, as well as healthy vegetarian options. Katerina’s has been opened since July 2011 and has since maintained its name as a friendly, neighborhood restaurant. There are plenty of yummy choices on the menu, from the Charmbroiled Bifteki seasoned with Greek herbs to the Mousaka topped with béchamel sauce. Enjoy the taste of a New York-style pie in northern Virginia. At Tony’s New York Pizza, you’ll find a variety of Italian dishes as well as some vegetarian options. Tony’s has been serving up authentic Italian food since 1989 and their menu is filled with local favorites. Whether you’re in the mood for Sicilian Pan Pizza piled high with toppings or a plate of classic Chicken Cacciatore, you won’t be disappointed with your meal. Okra’s offers Cajun Creole in the heart of Old Town Manassas. The eatery is open daily with brunch on Sundays. The restaurant also caters to parties and large groups. Since opening in 1998, Okra’s Cajun Creole has become a cornerstone business in Manassas with locals and tourists alike stopping by for a tasty meal. Okra’s guests can also be found chatting at the bar and enjoying happy hour specials. Nestled in Manassas’ Old Town, CJ Finz Raw Bar & Grill is a family-ran restaurant offering surf and turf with a homelike feel. Enjoy your meal while getting a great view of the Harris Pavilion which offers seasonal activities and festivals. 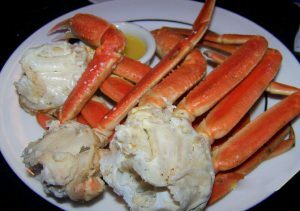 Their extensive menu includes steamed crab legs and other options from their Raw Bar, as well as a slew of appetizers, salads, sandwiches, and entrees. End your meal with dessert, whether you want to indulge in Key Lime Pie or Reese’s Peanut Butter Pie. The Bone offers American barbecue with gluten-free options. Stop in for a bite to eat or ask about their catering services for your next event. The Bone also has three locations including a BBQ food truck. On the menu, you’ll find several BBQ classics, such as beef brisket, pulled pork, and St. Louis Ribs. The restaurant also serves up craft beer and their regular Pit Master’s Specials. At the Ashton Family Restaurant on Cockrell Road, you’ll discover a family run diner serving up both American and Greek dishes at reasonable prices. The neighborhood eatery offers a comfortable atmosphere where the owners pride themselves on serving delicious food at a fair price. The menu includes a wide variety of options such as a salad bar, hamburgers and gyros, New York steaks, lasagna and spaghetti, beef fajitas, and homemade desserts. Delight your palate with a dish from one of Manassas’ best restaurants. No matter what you’re in the mood for, you’re sure to find something that satisfies your cravings.